1. I've entered my vehicle registration number and the tyre size shown is not the one fitted to my vehicle? 2. I've entered my vehicle registration number and my car doesn't come up? Double check that you've entered the correct details e.g. entering letter O in place of a zero. Whilst we do have data for many Light Commercial Vehicles we can't always guarantee this. Unfortunately we do not currently offer motorcycle tyres, but there are other specialist fitting centres that can. Also, if you have recently transferred a personalised number plate it can take the DVLA a few weeks to update their database. 3. 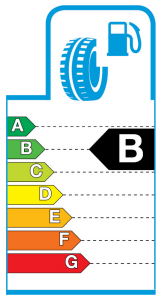 I'm not sure how to read my tyre size from my tyre? Please see the diagram below or if you have any further questions, please call us on 01204 650 760 or drop in as we are local. 4. I've ordered the wrong tyre size by mistake what do I do? Whilst we will do our best to help, it is your responsibility to check that the tyre size you have selected for fitting to your vehicle is correct. If you are concerned about this you should contact us as soon as possible on 01204 650 760. If you forget what tyre you've booked you can always check your confirmation email or call us on 01204 650 760 and we'll quickly check our records for your booking details. 5. Do the prices quoted include fitting? 6. I've made a booking for fitting, but have not received an e-mail confirmation? Please check that your spam filter hasn't caught the email and then you can always contact us on 01204 650 760 and we will e-mail a copy of your confirmation to you. 7. Can I amend my booking? If you want to amend your booking please notify us as soon as possible by telephone on 01204 650 760. 8. Can I get my tyres fitted earlier? We always try to offer a fast and responsive service, which is why we have developed this on line booking system. However, if you require a fitting date sooner than the dates offered on the site, call on 01204 650 760 and we'll do our best to bring your booking date forward if stock is available. 9. When do I pay for my tyres? 10. Can I get additional work, such as wheel alignment, when I get my tyres fitted? The inclusion of external rolling noise as a key aspect of a tyre's performance is to encourage motorists to buy low noise tyres and thereby reduce noise pollution. 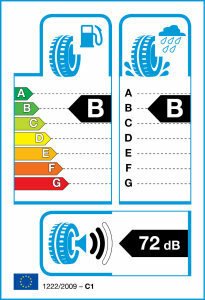 A microphone measures the rolling noise of a car travelling at 50mph with the engine turned off and the results, in decibels, are given for each tyre. In addition 'black sound waves' are used to indicate quieter tyres (1 black sound wave) in comparison to noisier tyres (3 black sound waves). Currently 3 black sound waves is the legal limit, 2 will be a new lower limit to come into effect sometime by 2016 and 1 black sound wave is 3 decibels below this future lower limit. Three decibels may not seem a lot, but it is effectively halving the noise level.